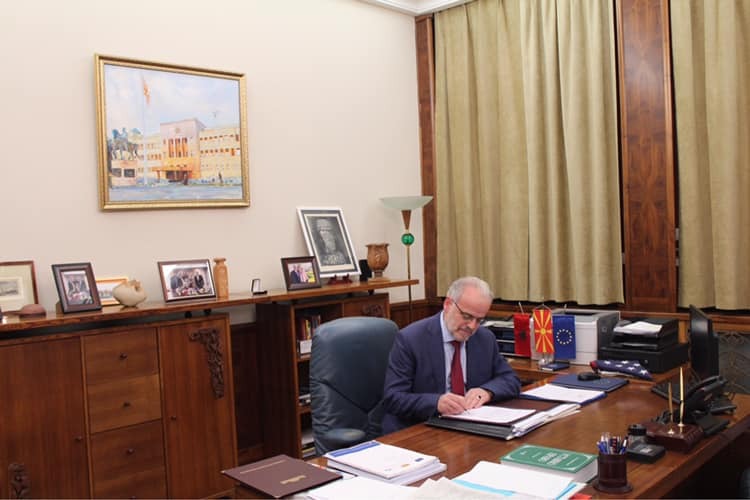 Speaker of the Macedonian Parliament Talat Xhaferi announced on Monday evening that the Law on Languages was published in the Official Gazette almost one year after it was first adopted. This means that the Albanian Language is the second Offical language in Macedonia. Xhaferi made the announcement on social media. The Macedonian Parliament passed the Law on Languages on 11 January 2018 amid tensions between lawmakers. At the time, President Gjorge Ivanov did not pass the bill saying that it was against the Constitution. Moreover, the Law on Languages was voted again by the Parliament on 14 March 2018, yet the President refused to sign the law. Over five million Albanians live across the Balkans and more than half live in Albania, Kosovo, Macedonia, and Montenegro. Smaller groups live in Croatia and Serbia. This is a large market for companies especially those from western economies planning to expand into the region. Given Albania’s strategic importance and large access to the sea, the Albanian speaking market can be a focal point for various companies’ development strategies.